One of my favorite things to do when I used to live in Boston was to spend the weekend in one of the adjoining states. 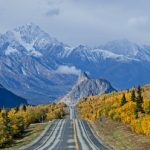 I’d load my car with my dog, grab a backpack and head out to either the Green Mountains in New Hampshire or the White Mountains in Vermont. Because the states in the US northeast are so small, getting there was all too easy. So when I visited Boston recently for a conference, I decided to extend my stay through the weekend and once again take a leisurely drive into rural and mountainous New England. Unfortunately, my trusted labrador retriever, Bear, was not there to accompany me this time – he passed away many years ago. And while autumn is the most amazing time to visit the foliage, it is beautiful year round. 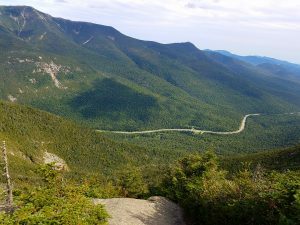 My favorite location to hike was spectacular Franconia Notch State Park in New Hampshire, an easy 2 hour drive north of Boston. This was the once the famed site of the Old Man of the Mountain. 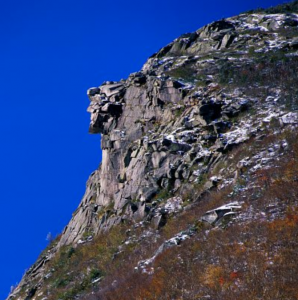 No doubt, you’ve seen New Hampshire’s famous emblem, a natural granite rock formation in the shape of a man’s face (profile view) sticking out of the side of a mountain. 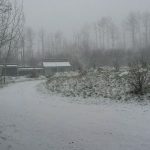 Well, just like my poor old dog, the Old Man no longer exists today. 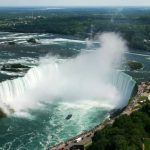 It succumbed to time and natural forces, collapsing into the cliffside below in 2003. Today, it still adorns New Hampshire license plates. Flume Gorge can get rather crowded so if you want to get away from 99.9% of other visitors, just hop on one of the many hiking trails that meander through the forests or take you up the top of one of several peaks. The tallest of these is almost 1300 meters (4300 ft) high. 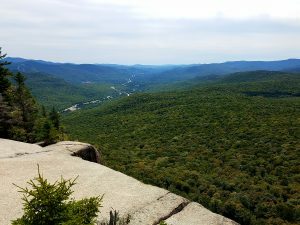 If you want an easier hike, check out Indian Head trail on Mount Pemigewasset, taking you to an altitude of 760 meters (2500 feet). 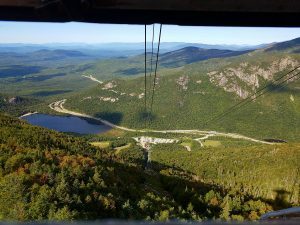 And for those not inclined to or able to hike, nearby Cannon Mountain offers an easy tram ride to the top to take in the majestic 360-degree views. View from top of Mount Pemigewasset. Just imagine the autumn colors. 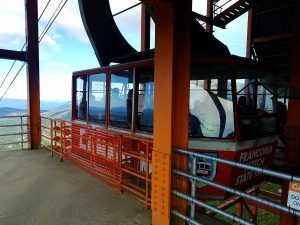 The Cannon Mountain aerial tramway is North America’s oldest, built in 1938 and continuously operating since. 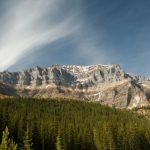 Over the years, it has taken some 6 million visitors to the top of the mountain – for skiing in winter and sightseeing in summer. According to the tram operator, black bears and deer can frequently be spotted from the cable car. There is an observation tower at the top and a restaurant as well. From here, one can see four US states (can you name them?) and even Quebec, Canada. On a clear day, the views here are absolutely magnificent. Of course, one can spend the whole day here and return home, or just stay a few hours before heading on to other fantastic New Hampshire locations (or even drive to nearby Vermont). 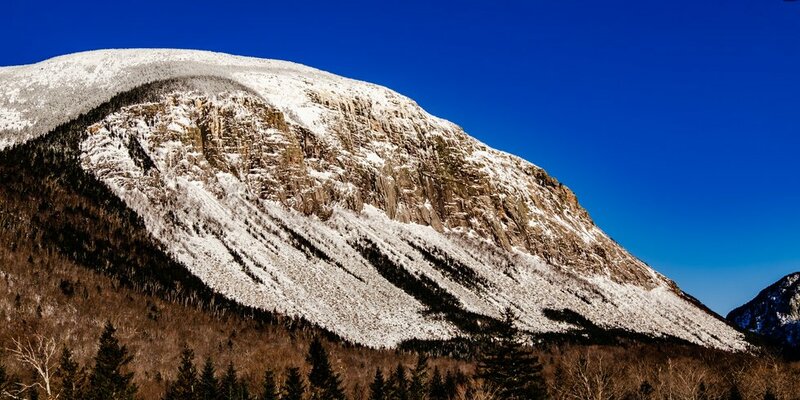 So if you find yourself in Boston and want to quickly get away from the big city into mountains and forest, definitely consider visiting Franconia Notch. This is now on my Boston bucket list – ran out of time earlier this year when I was in town but next time this will be a priority visit.